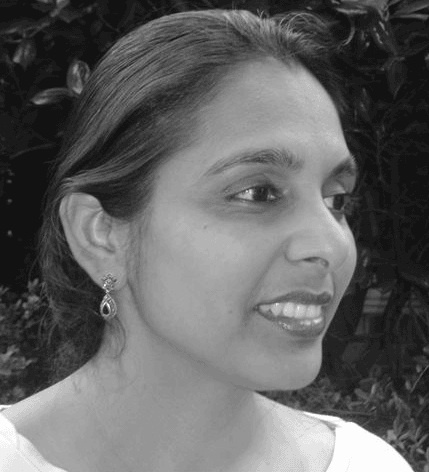 Pramila Venkateswaran is the author of Thirtha (Yuganta Press, 2002), Behind Dark Waters (Plain View Press, 2008), Draw Me Inmost (Stockport Flats, 2009), and Trace (Finishing Line Press,2011), has a doctorate from George Washington University and teaches English and Women’s Studies at Nassau Community College, New York. A finalist for the Allen Ginsberg Poetry Award in 1999 and a recipient of a Hedgebrook residency in 2002 and a Norcroft residency in August 2003, she has published in Paterson Literary Review, Ariel: A Review of International English Literature, Atlanta Review, Prairie Schooner, Xanadu, Long Island Quarterly, Calyx: Journal of Art and Literature by Women, California Quarterly, Kavya Bharati, and Nassau Review, among several other print and electronic journals. Recent anthologies, A Chorus for Peace, En(Compass) and Writing the Lines of Our Hands, include her voice among poets from around the world. She reads her poems internationally, most recenly at the Geraldine R. Dodge Poetry Festival. Her essays on literature, gender, and politics, appear in Women’s Studies Quarterly, Socialism and Democracy, and Journal of Postcolonial Writing, among many others.